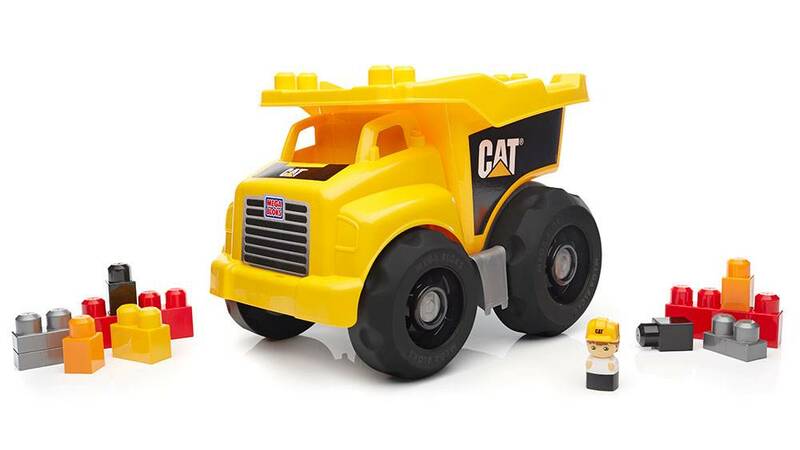 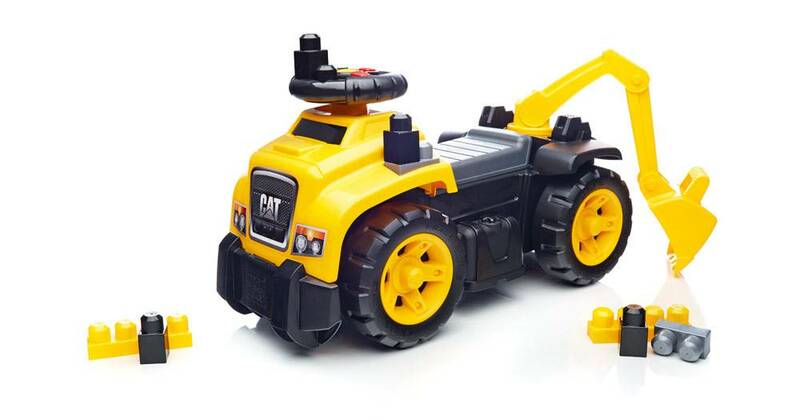 A buildable excavator, ride-on, and push vehicle with real CAT® sounds! 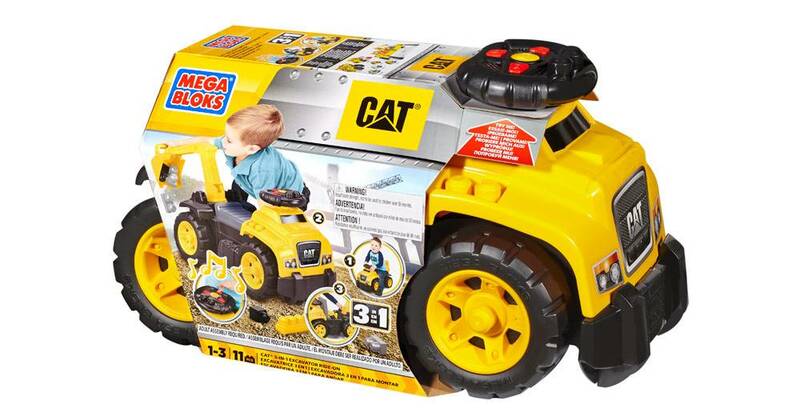 Toddlers are up to the job with this 3-in-1 CAT® excavator building set! 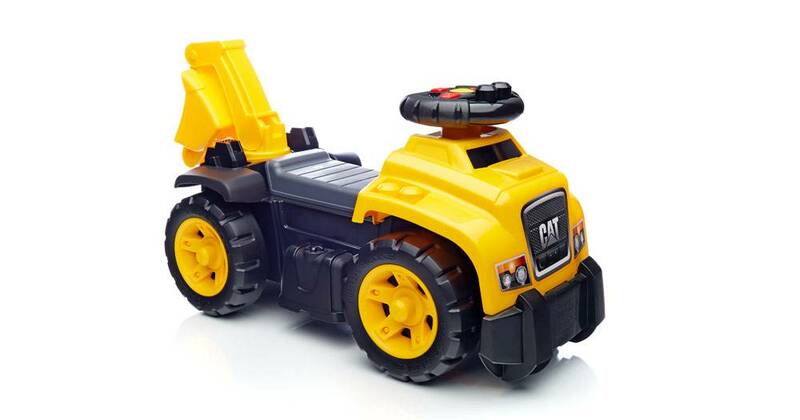 Get behind the truck and push forward to get things rolling. 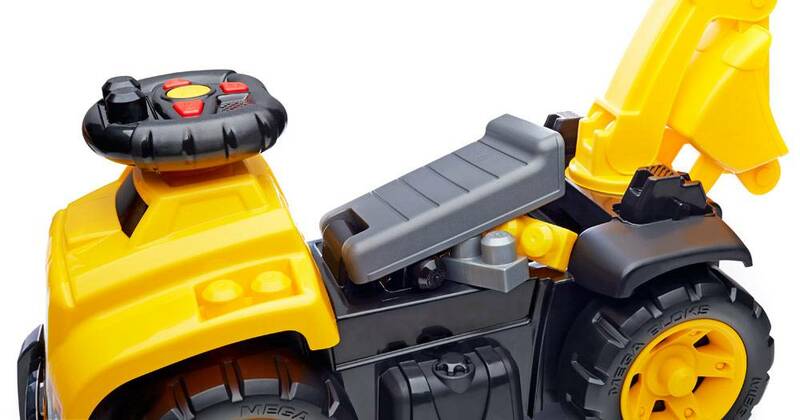 Or sit on top and press the steering wheel controls to make real truck sounds as you scoot ahead for ride-on play! 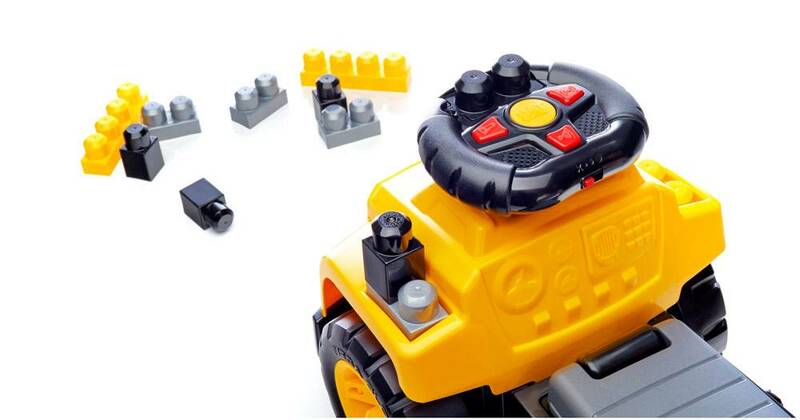 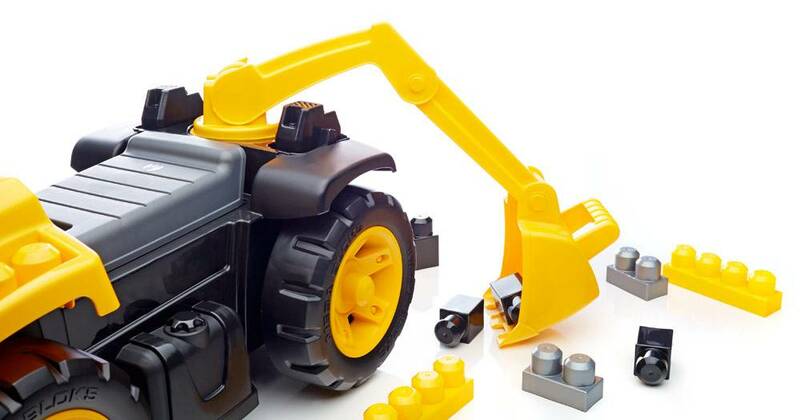 Turn around and use the working excavator arm to scoop up the included 10 building blocks. 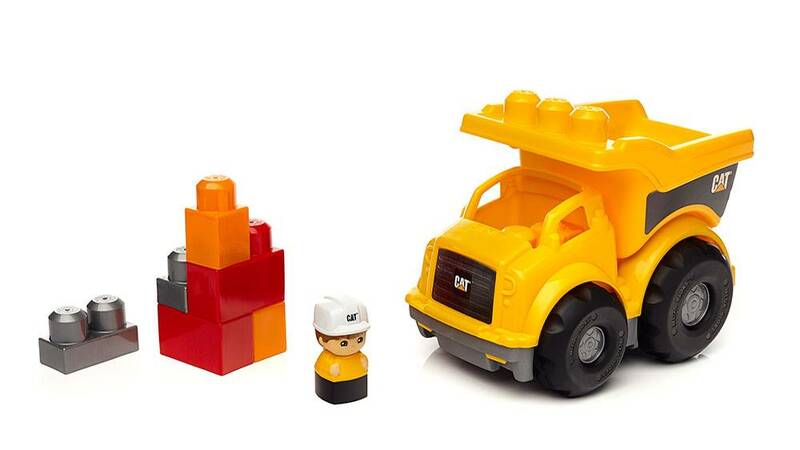 Or stack them right onto the truck before storing them away under the seat until the next job!